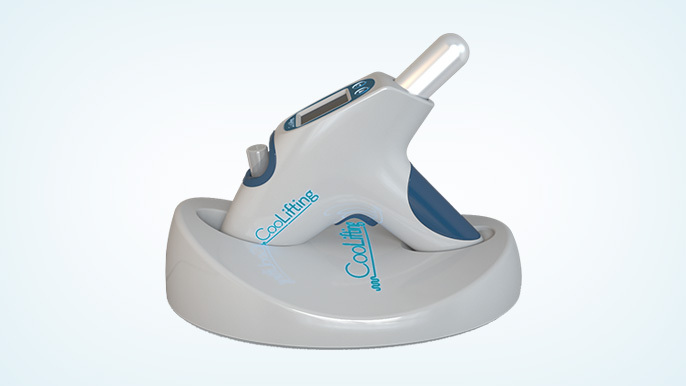 The CooLifting beauty device uses a low temperature of CO2 gas dispense combined with a solution of a propietary mixture containing hyaluronate. Increased skin hydration:The CO2 gas flow increases the acceptance of solution with the tensors Sorghum Bicolor Stalk Juice and Wheat Protein. This results in increased hydration and an overall lifted appearance of the skin.